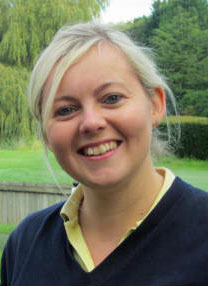 Warwickshire County Ladies have appointed Kelly Tomlinson to a Part Time position, working with the County Junior Girls and also administering the many Ladies Competitions that WLCGA offers to its members each year. Julia Burton, County Captain commented "with Kelly's experience in the workplace as a project manager, the assistance that she can offer the County working alongside our fantastic volunteers will be invaluable. Kelly has been a valued member of our teams, right through from her junior days and she is renowned for her enthusiasm and sunny nature"
Kelly, currently a member of Nuneaton Golf Club, has represented the County as a player since 2014 but her association stretched much further back to 2001 when she went to her first County ladies coaching session at Kenilworth Golf Club. She has represented the 2nd Team, gaining much experience at match play and playing within a Team atmosphere for several years culminating in her being part of the winning teams that won the Midlands South Region in both 2014 and 2016. 1st Team apprearances beckoned and she has represented the County over the past five years. By her own reckoning, this was a completely different experience and a huge learning curve but one that she has enjoyed and greatly benefitted from. She has represented the County 1st Team at the annual County Match Week tournament against five other Counties which she says has been the highlight of her golfing calendar each year. On her appointment, Kelly stated " It has always been a privilidge to represent WLCGA and along with my personal golf game, it has been a major part of my enjoyment outside of working. This dynamic has now changed slightly, as I recently married and started a family so unfortunately golf has had to take a back seat" She went on "With this in mind I feel very fortunate to combine my hobby with my project co-ordination/management work experience and represent WLCGA in a different way as golf administrator. I'm very excited about this opportunity to work with Warwickshire County Ladies and Juniors and can't wait to get started".